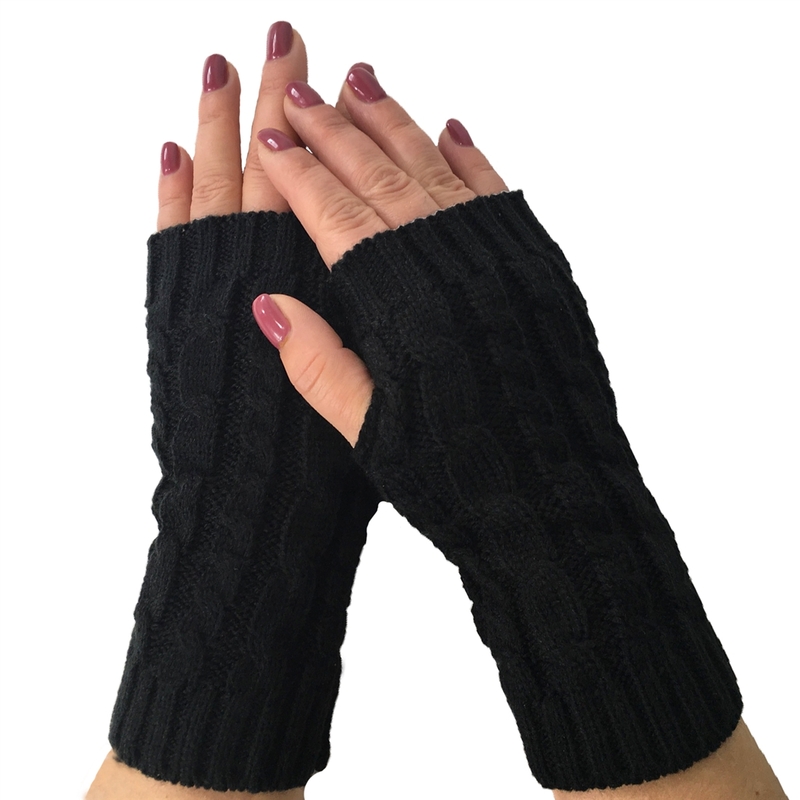 Cable knit fingerless texting gloves. Thumb cut out. 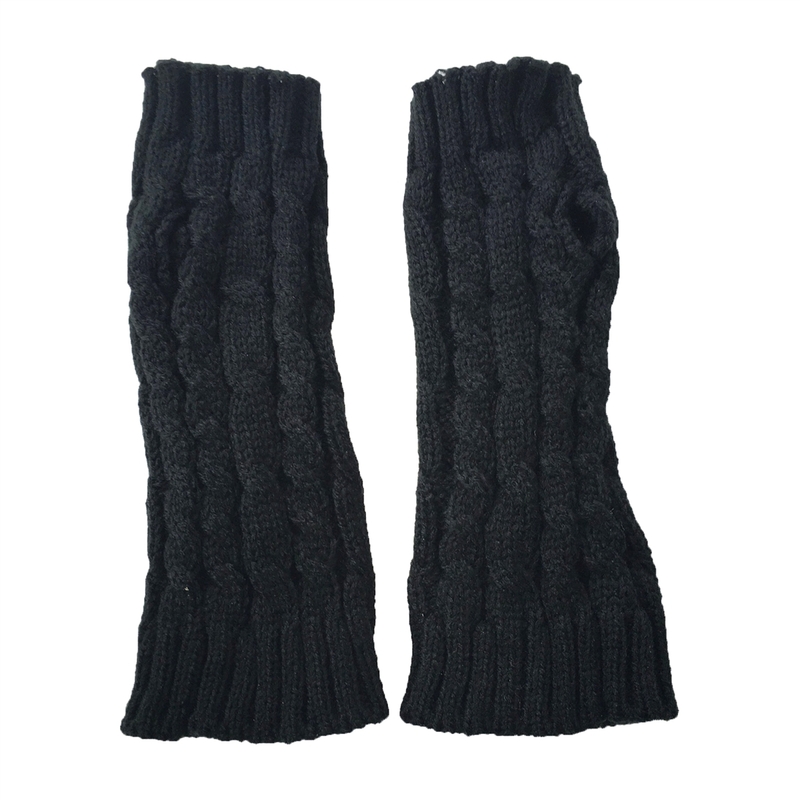 Ribbed hem. One size stretch fits most.